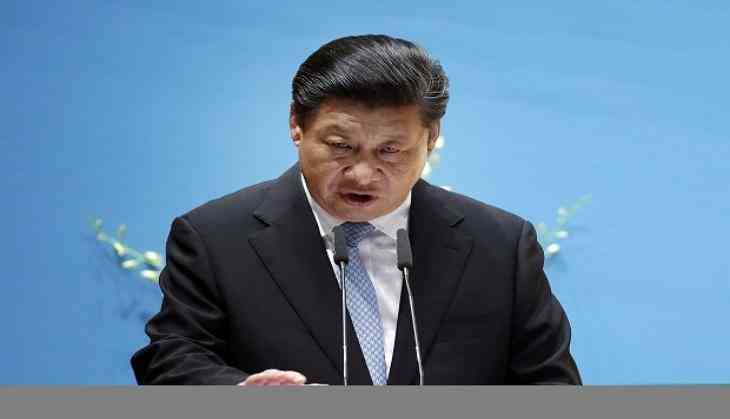 Chinese President Xi Jinping has appointed his former subordinates at the key propaganda positions in the government, says Voice of America Chinese newspaper. On August 21, Xu Lin, one of Xi's former subordinates and ex-director of the Chinese Communist Party's Central Cyberspace Affairs Commission, took charge of the State Council Information Office, the government's chief international propaganda apparatus. Analysts believe that by putting those he trusts in this position, Xi Jinping is making sure that the propaganda system presents a China that he wants the world to see, says the VOA Chinese. Zhuang Rongwen, 57, another former aide to Xi when he worked in Fujian Province, will be the new head of the Central Cyberspace Affairs Commission, or the Chinese cyber czar. Xu Lin, 56, worked with Xi Jinping in Shanghai. In June 2015, he was transferred from the Propaganda Department of Shanghai's CCP Committee to be the Deputy Director of the Central Cyberspace Affairs Commission. One year later, he was promoted to be the deputy head of the Central Propaganda Department. The newspaper was quoted by Chinascope, a U.S.-based media research entity by saying, "Xi Jinping began to clean up the propaganda system after Liu Yunshan, a former Politburo Standing Committee member, resigned as the propaganda chief in 2017. Lu Wei, Liu's henchman and former director of Central Cyberspace Affairs Commission and deputy head of the Central Propaganda Department, was sacked in November 2017 and later prosecuted". On July 25, Jiang Jianguo, another sitting deputy head of Central Propaganda Department, had himself removed from the position of director of State Council Information Office, paving the way for Xu Lin's appointment. Since assuming power, President Xi Jinping has taken many steps to reshape his country, de-emphasizing growth to build a more sustainable economy and engaging in more proactive diplomacy. His expansion plans has raised concerns in Washington as a trade war kicked off between the two countries.